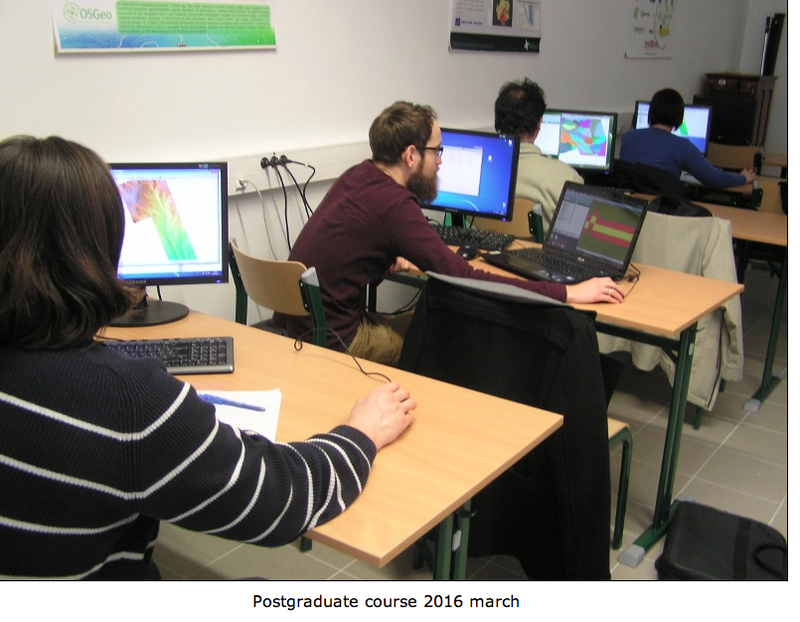 It is my great pleasure, to introduce our colleagues at the Open Source Geospatial Lab of Department of Geodesy and Surveying at the Budapest University of Technology and Economics , Hungary as our “Geo4All” lab of the month. The Budapest University of Technology and Economics (BME), is the most significant University of Technology in Hungary and is considered the world’s oldest Institute of Technology which has university rank and structure. It was the first institute in Europe to train engineers at university level . It was founded in 1782. More than 110 departments and institutes operate within the structure of eight faculties. About 1100 lecturers, 400 researchers and other degree holders and numerous invited lecturers and expert specialists participate in education and research at the Budapest University of Technology and Economics. The Budapest University of Technology and Economics issues about 70% of Hungary’s engineering degrees. 34 professors/researchers of the university are members of the Hungarian Academy of Sciences.. 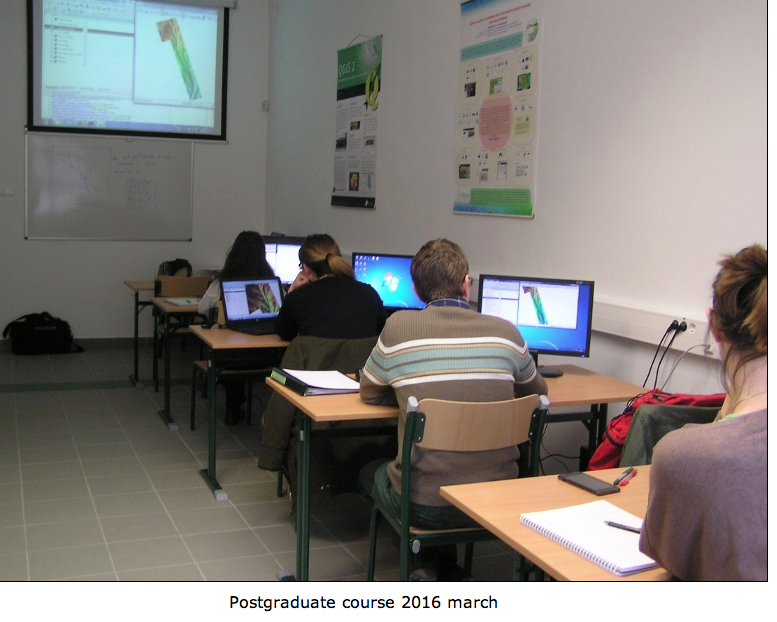 The OSGeo lab is run by the Department of Geodesy and Surveying and lead by Dr. Zoltán Siki. The members of the lab are Dr. Szabolcs Rózsa, Dr. ZitaUltmann, Ottó Deák, Dr. Csaba Égető, Dr. Bence Takács and Dr. Tamás Tuchband but draws heavily on interactions with other research groups and partners within the University, nationally and internationally. The Lab has also been active in presenting their research at other wider events. 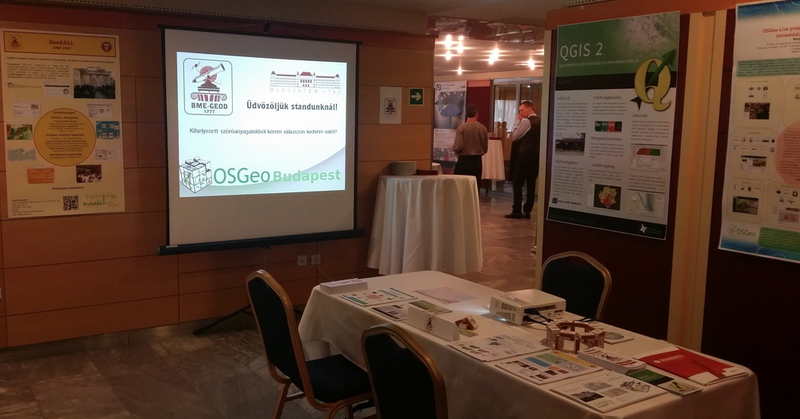 For example it was represented on the 13th Geospatial Information & Technology Association conference hosted by the Hungarian GITA organisation where visitors were able to receive additional information about our OSGeo Lab Budapest . 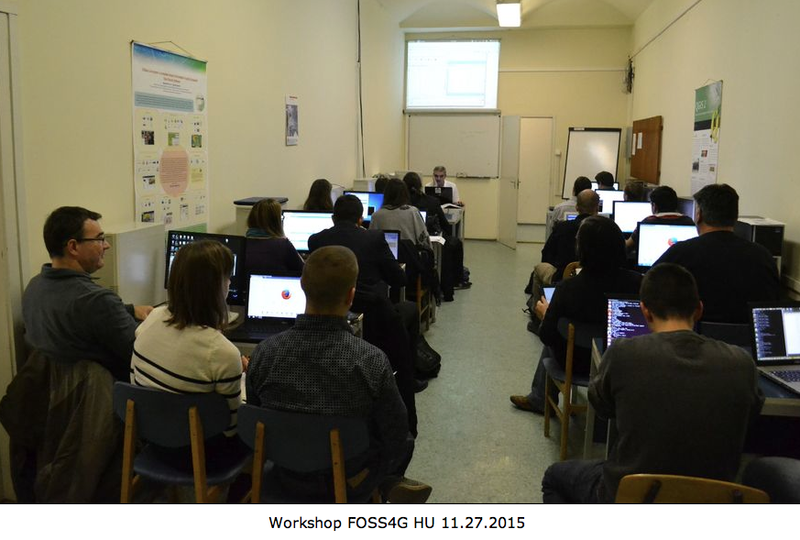 The OSGEO Lab at Budapest is involved in a number of major international and national research projects. Their team works on further developments of open source software, search/fix bugs and maintain the Hungarian localizations (especially QGIS). They also provide software and spatial expertise to the solution of engineering problems using Open Source tools, software and standards. The Geo for All lab in Budapest University of Technology and Economics welcomes collaborations from all interested and for making contributions to the wider society. On behalf of the Geo4All community, we thank Zoltán Siki and all colleagues at the Budapest lab for their contributions to the Geo4All initiative and look forward to working and building more collaborations with all interested on this education mission. Our meeting will be held on Friday, 16 Sept, 13:30 – 15:00. Specifically to expand the discussions and ideas on Open Geospatial Science – Vision 2030  and how we can build synergies towards the vision of the UN 2030 Agenda for Sustainable Development for building a better world for all. We are also inviting ideas from the wider community for short presentation (max 5 min) from various research groups working in Geospatial Data Science for the Denver meeting to share your ideas and explore ideas for future research collaborations. There will be opportunity to join remotely for this session and present for interested participants . If you wish to contribute to this session or those interested to initiate new Working Groups for the Geospatial IG please email me or any of the cochairs by 20th Aug 2016. We welcome ideas and participation from those interested for contributing to this. Just one month after the successful FOSS4G UK conference, our colleagues in Austria have run an excellent FOSSGIS Conference (4th to 6th July 2016) at the University of Salzburg. The FOSSGIS Conference 2016 is organized by FOSSGIS e.V (german language local chapter of the OSGeo), the OpenStreetMap Community and the Open Source Geospatial Foundation (OSGeo) in cooperation with the University of Salzburg. I want to thank our colleagues at the GeoforAll lab at Salzburg for their support and contributions. 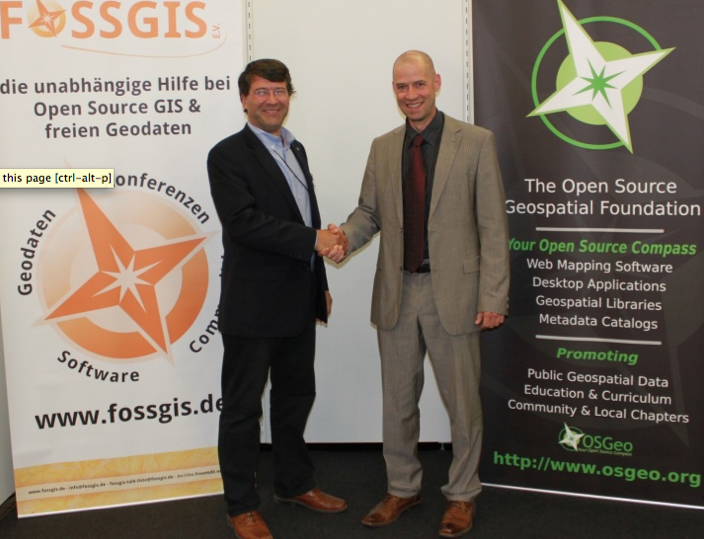 The FOSSGIS-conference is the largest german-language conference for Free and Open Source Software for GIS and Free Geodata hosting about 400 participants. 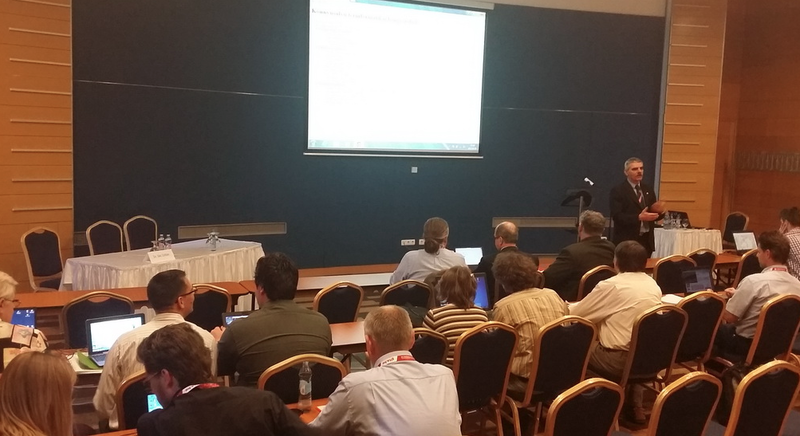 FOSSGIS offers lots of presentations and workshops concerning FOSSGIS, Open Data, OpenStreetMap and more. We want to invite all of you to be our GeoAmbassodors  and contribute to Education, Research and Service for the betterment of humanity as the key guiding principle and work towards the vision of the UN 2030 Agenda for Sustainable Development for building a better world for all. 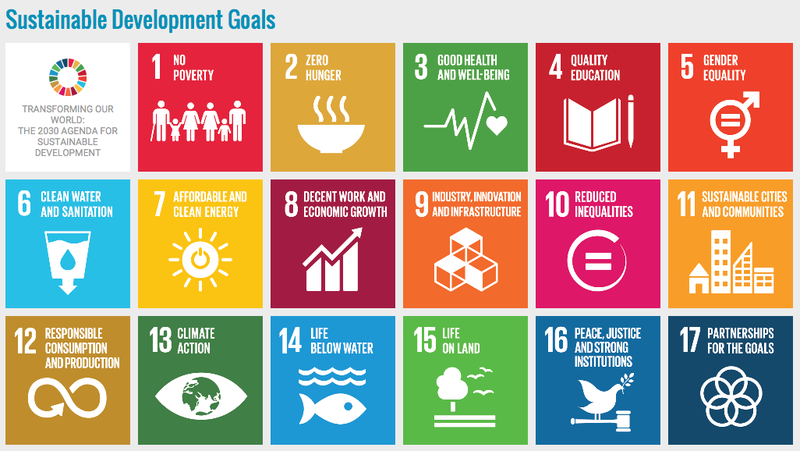 I would like to thank all our colleagues at the International Cartographic Association (ICA) and its commissions for their efforts as part of the International Map Year (IMY) by highlighting the value of cartography by “mapping” the UN sustainable development goals and providing map perspective on the sustainable development goals . 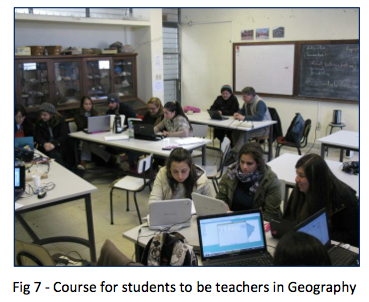 So how can you contribute to enable geospatial education opportunities to all ? Please be our GeoAmbassadors and share your expertise. Everyone who is interested in enabling geospatial education opportunities to all are our GeoAmbassadors. It is not just the thousands of Open Source Geospatial Foundation (OSGeo) members but also thousands of colleagues in ICA, ISPRS, UCGIS, AGILE, GSDI, AGS who all work for Geoeducation opportunities for all who are our GeoAmbassadors. 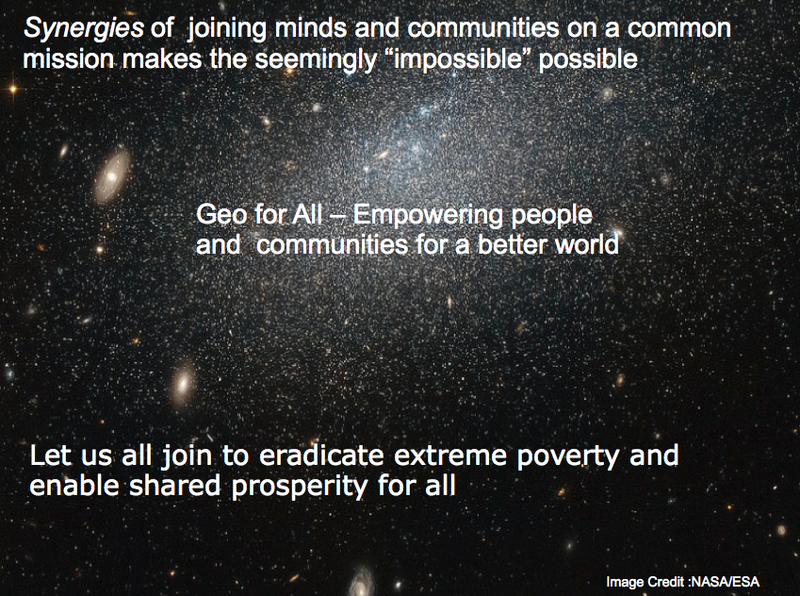 Geo for All is a world wide movement that provides immediate benefit to the world. 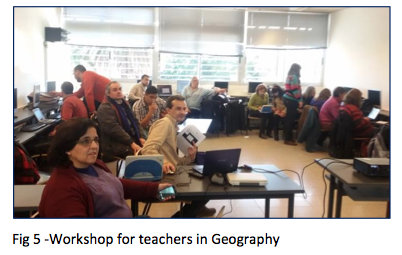 Share the free and open educational resources and software that are available from OSGeo Live to MapStory to Teacher Training resources (developed thanks to the contributions to thousands of volunteers) all available free and open to all at http://www.geoforall.org/training/ to colleagues globally and be our GeoAmbassadors. We will also link the ideas from Maps and Sustainable Development Goals to our Vision 2030 for Open Geospatial Science as there are also lot of synergies and will add momentum for our vision for Open Geospatial Science  . We aim to create openness in Geo Education for developing creative and open minds in students which is critical for building open innovation and contributes to building up Open Knowledge for the benefit of the whole society and for our future generations. This newsletter is a community initiative run by the community for the community. We welcome all community members to contribute and share their updates to the newsletter for the benefit of the wider geo community. We have made ‘Open Principles’ as the key guideline for all articles. Relevant updates and information on free and open software, open data, open standards, open education resources are all welcome for future editions. It has been a learning curve for all of us, and we request you all to help us on this initiative. 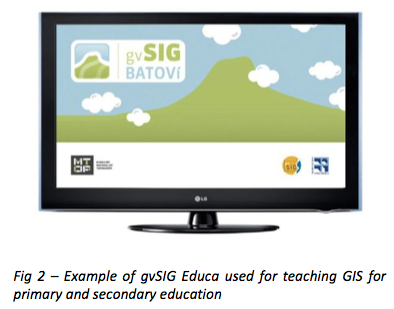 So how can you contribute to enable geospatial education opportunities to all ? Everyone who is interested in enabling geospatial education opportunities to all are our GeoAmbassadors. It is not just the thousands of OSGeo members but also thousands of colleagues in ICA, ISPRS, UCGIS, AGILE, GSDI, AGS who all work for Geoeducation opportunities for all who are our GeoAmbassadors. Geo for All is a world wide movement that provides immediate benefit to the world. We thank Gemma Boix, Lluís Vicens, Gemma Pons, Rosa Olivella, Ferran Orduña,Toni Hernandez, Alexandre Busquets, Josep Sitjar, Laura Olivas and all colleagues and students at SIGTE lab for their contributions to the Geo4All initiative and look forward to working and building more collaborations with all interested on this education mission. Let us work together to support open principles in education and enable Geo technologies in empowering communities and helping improving the Quality of Life and standards of living for everyone. Let us all work together to help create a world that is more accessible, equitable and full of innovation and opportunities for everyone. 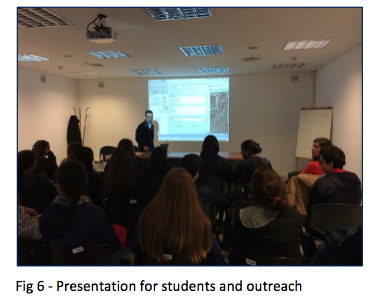 It is my great pleasure, to introduce our colleagues at SIGTE University of Girona , Spain as our “Geo4All” lab of the month. One of the founder labs of the Geo for All initiative, SIGTE has been contributing immensely to our teaching, research and service activities. University of Girona is a public institution devoted to excellence in teaching and research and to participating in the progress and development of society through the creation, transmission, diffusion and criticism of knowledge related to the sciences, technology, the humanities, the social sciences and the arts. It is deeply rooted in Catalonia and Catalan culture and is one of the primary economic and cultural motors of the region. At the same time, it pursues a vocation of universality and openness to all traditions, and cultures. The University, located in the city of Girona, is a part of the Catalan public university system. Historically, the Universitat de Girona is heir to the so-called Estudi General which was created in 1446 by Alphonse the Magnanimous, who granted Girona the privilege of awarding degrees in grammar, rhetoric, philosophy and theology, law and medicine. 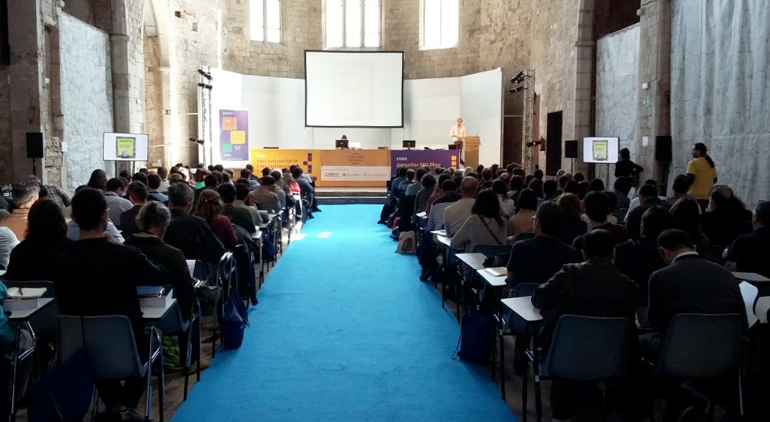 Recently, in 1991, a decree of the Catalan Government created the new Universitat de Girona, a multidisciplinary reference point thanks to contributions from a rich variety of university cultures. 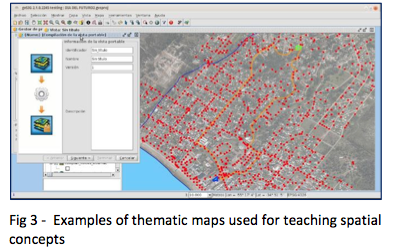 The Geographical Information Systems and Remote Sensing Service (SIGTE) of the University of Girona is a research support service specialized in geospatial data treatment and the use and application of geographic information technologies. They offer technical support, advice, training and technological solutions in the field of geographic information. 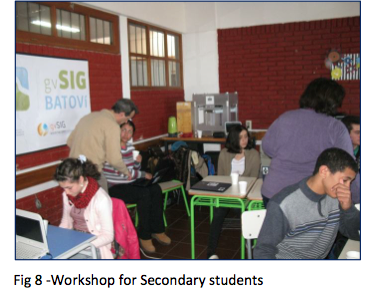 SIGTE colleagues have been the pioneers of a very successful summer school program dedicated to free and open geographic information software and aimed at promoting the use and development of free geospatial solutions and empowering students. 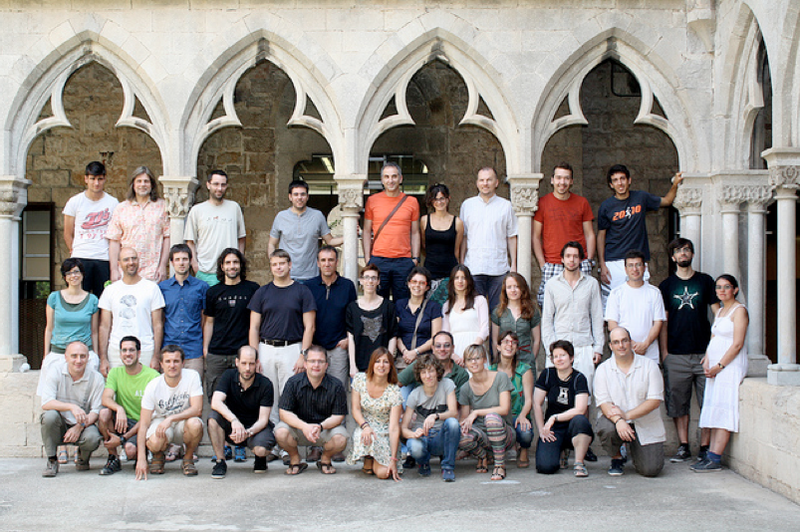 The Summer School, that was traditionally been held in Girona during one week in July (and it has been running for 5 editions -2010 to 2014-), have brought together 30 persons from around the world (see figures 1,2). The programme was focused on open web services and web map applications, especially in regard to publishing data on the web. It dealt with issues such as spatial data base management and consultation, the creation of web-based geospatial services and the development of web viewers for data publication. 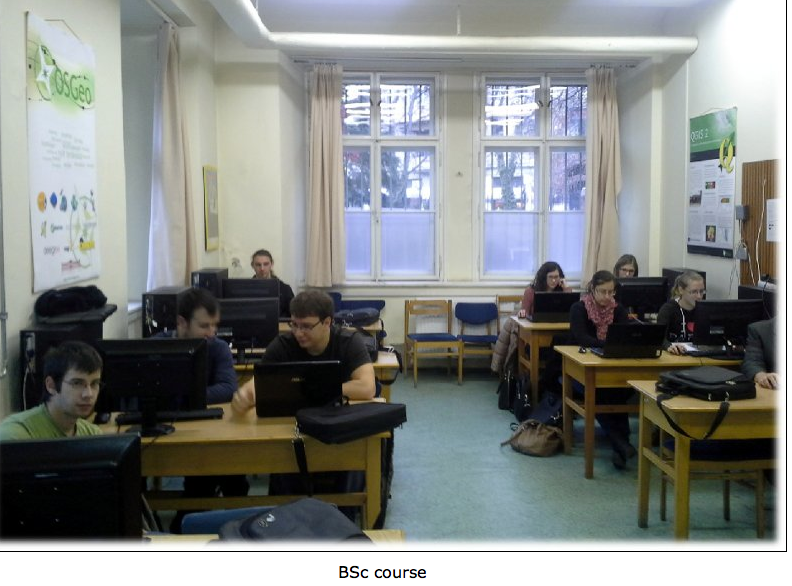 The Summer School offered participants practical experience in the use of free geospatial software to create and implement open web services and web map applications. I still remember the email discussions that I had with Lluis, Gemma and other colleagues (sometime in early 2009!) when we put together a joint ERASMUS bid for helping us start upon this Summer School initiative and I am very grateful I had the opportunity to collaborate with amazing colleagues at SIGTE to lay the seeds of this pioneering Summer School initiative. This summer school initiative has been an inspiration for lot of similar Open Source GIS summer schools around the world from China to India. GIS Open Source Summer School initiative aims to ensure the highest quality of results and internationalize the curricula, in order to prepare students in an international working environment and competitive skills with emphasis on collaboration during the course. All course materials from the summer school are available online . 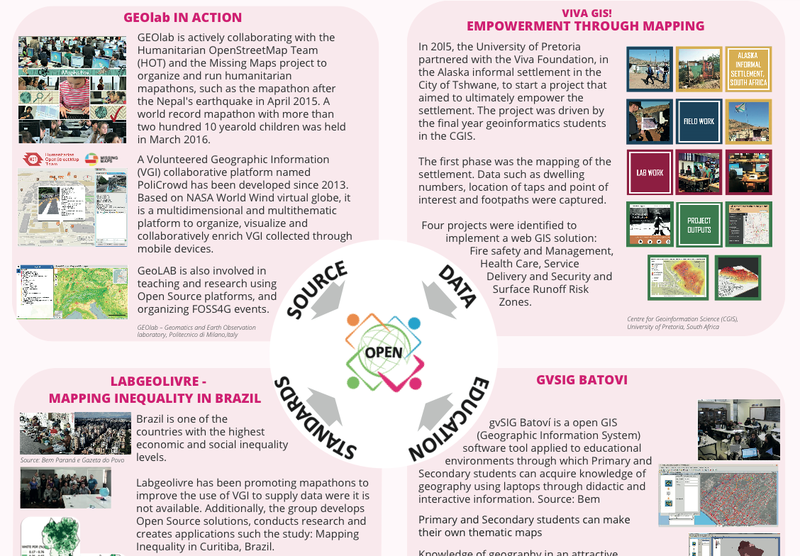 In 2016, SIGTE is still working and applying free and open source technologies in the geospatial domain, in a wide variety of technical projects such as a Participatory GIS, the Mosquito Alert! project (a citizen platform for studying and control mosquitoes which transmit global diseases) or SIG Dunes (a web mapping application for the inventory and monitoring the dunes located on the shore front of the Catalan coast), among others. On the training side, SIGTE is providing basic and specialized training courses (on site and on line courses) based on the use of Open Source Technologies in Geospatial applied to different scopes (regional and local planning managers, public administration in general, researchers in primathology, oceanography, …) and UNIGIS Girona , has become a Msc in GIS where FOSS has a noticeable adoption and presence, and it is a sign of identity. Moreover, SIGTE that is the organizer of the Spanish FOSS4G (Jornadas de SIG Libre) , ten editions to now, in 2016 has also organized the 2nd International QGIS User and Developer Conference as well as a QGIS Hackfest  with the kind support of the OSGeo Foundation. 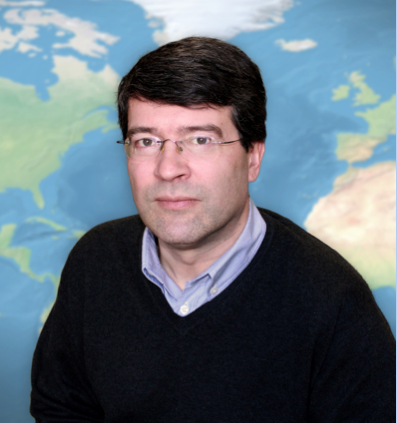 It is my great pleasure to introduce Professor Georg Gartner as our GeoAmbassador. It is indeed a honour for us to have an eminent colleague and a visionary who helped us to create “Geo for All” as our first GeoAmbassodor. Georg Gartner is a Full Professor for Cartography at the Vienna University of Technology. He holds graduate qualifications in Geography and Cartography from the University of Vienna and received his Ph.D. and his Habilitation from the Vienna University of Technology. He was awarded a Fulbright grant to the USA and several research visiting fellowships. 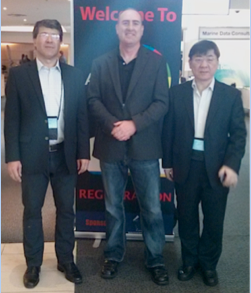 He was Dean for Academic Affairs for Geodesy and Geoinformation at Vienna University of Technology. He is Editor of the Book Series “Lecture Notes on Geoinformation and Cartography” by Springer and Editor of the “Journal on LBS” by Taylor & Francis. He serves currently as Past President of the International Cartographic Association. Georg is a true global citizen who has travelled around the world working for expanding opportunities for geospatial education for all. Georg has been a mentor and great colleague for me at the International Cartographic Association (ICA). Sometimes random meetings help shape future events and my first meeting with Georg was by sheer coincidence as I sat next to him for lunch during AutoCarto conference around 8 years back in Shepherdstown, West Virginia, USA. At that time Georg was the Chair of the ICA Commission on Maps and the Internet and I introduced myself and within few minutes we were discussing ideas for expanding research collaborations and organise Location Based Services conference in Nottingham! Georg is the founder of LBS conference series which was key to help establish LBS research and journals. His vision for establishing LBS research has always inspired me. His humility and helpfulness are great qualities that I greatly admire. It was thanks to the support and vision of Georg Gartner and Arnulf Christl (OSGeo President at that time) which was key in helping bringing together like minded communities on the bigger vision of joining efforts for enabling geospatial education and opportunities for all for helping create a better world. The International Cartographic Association and the Open Source Geospatial Foundation signed an MoU in 2011 (Fig 2) on the goal of developing global collaboration opportunities for academia, industry and government organizations in open source geospatial software and data . This MoU was updated and renewed in July 2015 . In 2015, International Society for Photogrammetry and Remote Sensing (ISPRS) joined GeoforAll (Fig 3). We are proud to honour Georg as our inaugural GeoAmbassodor and we are extremely grateful for his contributions to Geo for All. We wish Georg and his wonderful family all the very best for the future. We are truly grateful for Georg for his strong support and guidance over the years . Georg also serves on the advisory board of Geo for All and we look forward to his guidance for the future.